Sunburn is an acute inflammation of skin cells that occurs due to overexposure to sun’s harsh UV rays. The sunburn may be severe or mild depending on the severity and length of exposure. We have already covered some easy ways to prevent sunburn. Today we will study some remedies to effectively treat it if it occurs. Apply Aloe Vera gel on the affected areas of the skin. Use pure aloe vera gel instead of those commercial products containing preservatives and chemicals. 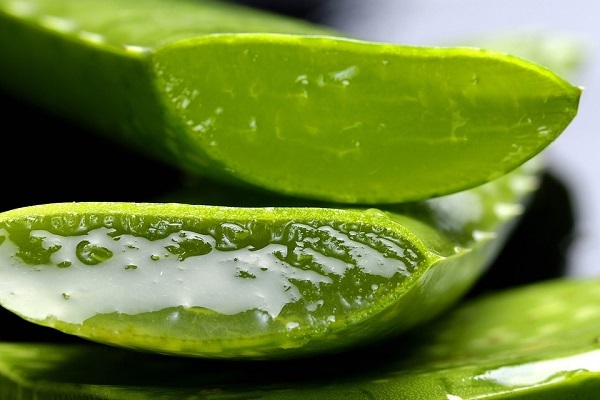 If you have an Aloe plant, directly cut open its leaf and apply it on the sunburned areas. Apply some coconut oil on the sunburned areas of the skin. It is one of the best things you can do to really bad sunburn. Coconut oil for sunburn heals, soothes and protects the skin. It can prevent blistering and also speed up healing. Take coconut oil internally as well to heal the sunburn from inside. This is another way to heal sunburn quickly. Soak a clean cotton wool in organic apple cider vinegar and apply it to the sunburned areas. This remedy soothes inflammation and pain and can prevent blistering and scaling of skin. You can also bathe in tub bath filled with tepid water and 2-3 cups of organic apple cider vinegar. Soak in the mixture for 20 minutes after being sunburned and you will get instant relief from pain. Also take ACV internally to heal the body from within. You can also apply white vinegar on the sunburn. Soak a clean cotton wool or flannel cloth in cold milk (cow’s milk works best) and apply it all over the sunburn. Cold water can also be used in place of milk but milk works better for soothing the pain and cooling the skin quickly. Fresh cream from whole milk also acts as natural sunburn cream to heal the sunburn quickly. Pulverize some lettuce leaves and apply the juice to the sunburned skin to get rid of it quickly. The best thing to do after getting sunburned is to use an ice pack on the hot skin. Wrap up some ice cubes in cotton or flannel cloth and gently press the pack on the sunburned skin. You can also use frozen vegetable pack. 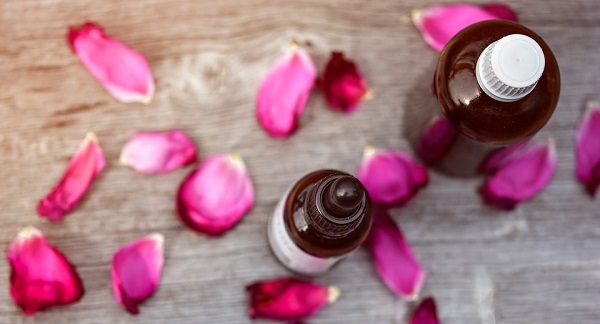 Many essential oils help cure sunburn dark skin. Apply some Lavender oil to the sunburned skin to soothe it and speed up healing. Lavender oil also prevents blistering. Peppermint and Sandalwood oils are also beneficial. Mix together a paste of pure sandalwood and organic turmeric powder. Apply the paste on the sunburned skin. Turmeric is antiseptic, anti-inflammatory and antibacterial. It prevents secondary skin infections and heals the sunburn quickly. Sandalwood is cooling and cicatrizing. It stimulates the skin’s natural healing mechanism to prevent blistering. Apply some cooling and soothing Calendula ointment to the blisters to get rid of sunburn quickly. Castor oil remedy for sunburns works on 3rd degree sunburns as well. Simply make a poultice or soak sterile gauze in castor oil and apply it on the burns. Keep the pack for as long as you can-overnight if possible. Change the pack every few hours. The skin will heal quickly and not leave any scars too. Immediately after getting sunburned, apply cocoa butter liberally. This remedy will prevent blisters and itchiness that comes with sunburn. This is a surprisingly natural and easy way to get rid of sunburn fast. 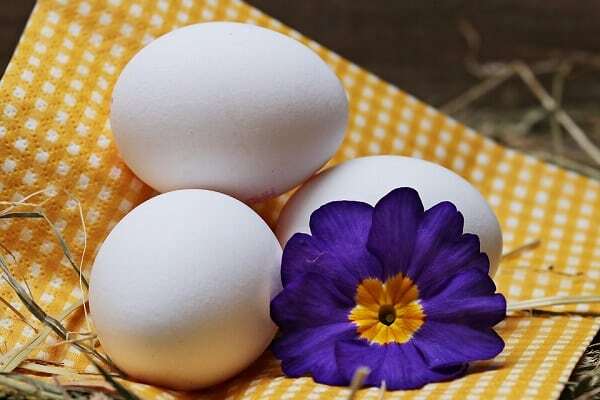 Apply egg whites all over the face and back to get rid of sunburn quickly. Tea is another surprisingly effective way of reducing skin problems that accompany a bad case of sunburn. Brew some regular black or orange pekoe tea and let it cool down a bit. Pour the brewed decoction on the skin. The tannins and catechins prevent the skin from drying out. Do this 2-3 times a day to heal the sunburned skin quickly. Oatmeal is soothing and heals the skin quickly. Add a cup of ground oatmeal to bath water and soak in it. You can also apply colloidal oatmeal paste on the sunburned skin to prevent blisters. Grate some raw potatoes and apply the juice to the sunburns. This remedy soothes, heals and also lightens dark sunburned skin. If you have a bottle of rubbing alcohol on hand, mix it with equal quantities of water and pour the mixture over the sunburn. This will prevent infections, blisters and pus. Aspirin contains natural pain-relieving compounds that can heal and soothe the skin. Apply paste of Aspirin in water all over the sunburn rash to protect and heal the skin. This is another surprisingly easy way to heal sunburned skin. Apply homemade or store bough plain Greek Yogurt on the sunburn. The rash will heal quickly because of this remedy which also prevents blisters. You can also apply kefir or other lactic fermented foods on the burned skin. Also eat fermented foods to strengthen the immune system. Add a cup of baking soda to bath water and soak in it for 15-20 minutes. This remedy soothes the skin and prevents blisters. Try these 19 easy ways to cure sunburn quickly.